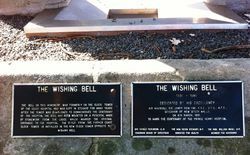 The Wishing Bell marks the centenary of the Prince Henry Hospital. The Coast Hospital was established in 1881 to deal with a growing epidemic of Smallpox in Sydney. The site at Little Bay was chosen because of its isolation from the population of the city. In July the Horse Ambulance was established upon the outbreak of Smallpox, and disbanded in February/March 1882 once the outbreak was declared over. 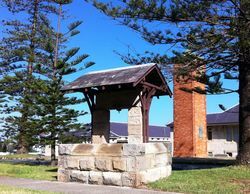 In 1934 the Coast Hospital was renamed "The Prince Henry Hospital of Sydney" by the then Minister for Health for New South Wales, Mr R. W. D. Weaver to compliment the visit of the Duke of Gloucester. 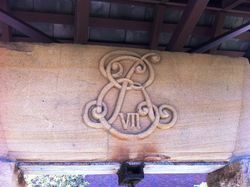 Dedicated by His Excellency Air Marshall Sir James Rowland, K.B.E.,D.F.C.,A.F.C., Governor of N.S.W. on 4th March 1981 to mark the centenary of the Prince Henry Hospital. 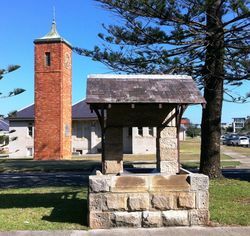 The bell on this monument was formerly on the clock tower of the Coast Hospital and was kept in storage for many years after the tower was demolished. 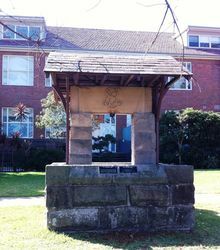 To commemorate the centenary of the hospital the bell has been mounted on a pedestal made of stonework from the lodge which marked the original entrance to the hospital. The clock from the former clock tower is installed in the new clock tower opposite the Wishing Bell.